Here you can combine a power unit with a vacuum system of your choice. As well as the handles, stands and cartridges, completely as you whish. Of course we are there to assist you when needed. 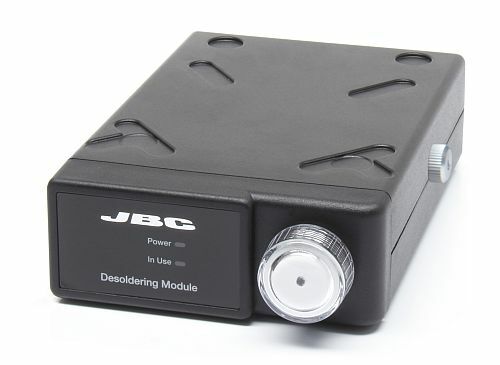 This control unit manages 1 tool for soldering or desoldering. 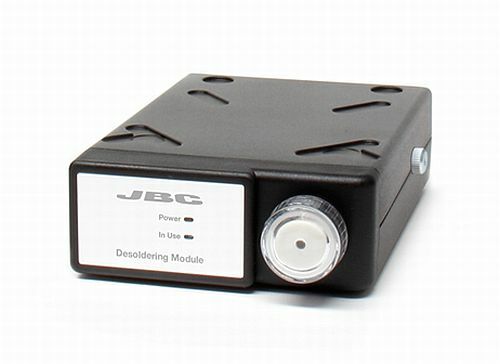 It offers full connectivity to any of JBC tools in order to set up your personalized station. 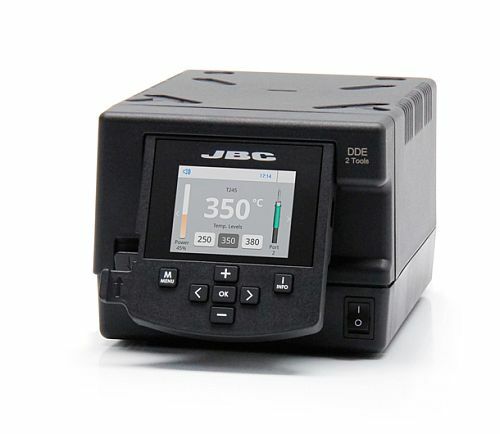 The DI works with the JBC Exclusive Heating System and the intelligent sleep and hibernation features to extend a tip´s life up to 5 times longer. 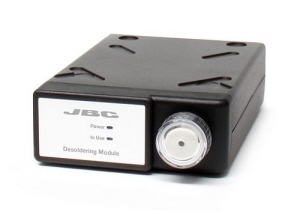 The USB connector allows to update software, create graphs and manage parameters from a PC. For a basic working system, you need at least 1 stand, 1 tool and 1 cartridge. See the full cartridge range. 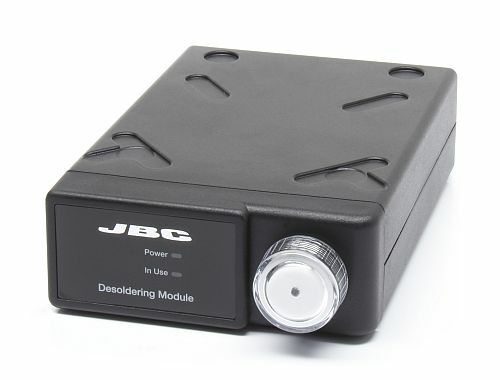 This control unit manages up to 2 tools simultaneously. It offers full connectivity to any JBC soldering or desoldering tools. It features all the Excellence range benefits such as station customization, full control of soldering processes and remote work management. The easy-to-use menu offers innovative functions to help you monitor the work in real time: graphics, partial counters or tool port monitoring. For a basic working system, you need 1 stand, 1 tool and 1 cartridge. The DME manages up to 4 tools simultaneously and it is fully compatible with most of JBC tools. 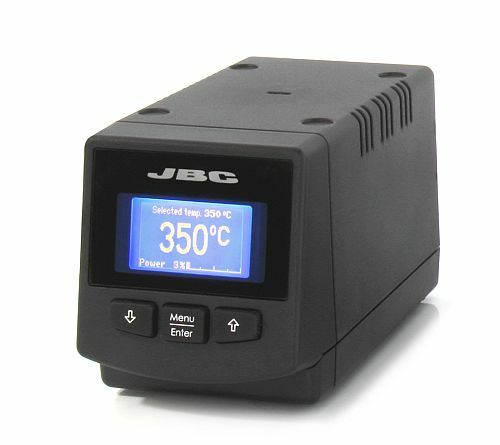 It works with the JBC exclusive heating system and the intelligent sleep and hibernation modes. 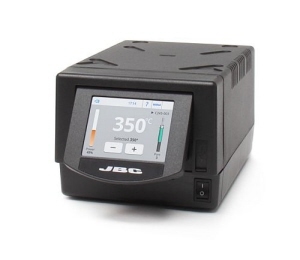 It features all the Excellence range benefits such as station customization, full control over the soldering process and remote work management. The easy-to-use menu helps you monitor the work in real time: graphics, partial counters or simultaneous control of ports. The DME also provides you with extra applications that support your work: USB microscope, file storage, unit converter, video, etc. The MSE can be joined to any port of the DDE and DME control units and has the possibilityto be controlled by the P-005 Pedal. This unit requires compressed air at the operator´s bench. The MVE can be joined to any port of the DDE and DME control units and has the possibility to be controlled by the P-005 Pedal. MS-A is compatibe with CS station and DI control unit which manage the tip temperature while module removes the molten solder. MS-A works with the comfortable DS360 or DR560 desoldering irons and their corresponding tips. MV-A is compatibe with CV station and DI control unit which manage the tip temperature while module removes the molten solder. MV-A works with the comfortable DS360 or DR560 desoldering irons and their corresponding tips.